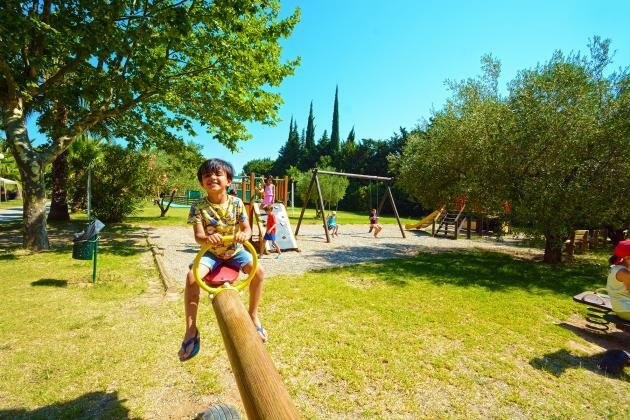 Because a successful holiday is a holiday where children have fun, camping les Pêcheurs pays extra attention to young holidaymakers. In July and August, the multilingual activity team of our mini-club (4-12 years) will welcome them every day except Saturday, for all kinds of craft works and outdoor games. Outside the mini-club, children can enjoy playing on the playground or have hours of fun at the swimming pool. And obviously, they can run around in the warm water of the Mediterranean Sea. Holiday is the ideal time to enjoy sports with the entire family and to get back into shape. That’s why camping les Pêcheurs offers you a wide range of activities. From Roquebrune sur Argens, a cycle path will bring you to the Mediterranean Sea and the long, fine sand beaches of the Var. In the area around the campsite, hikers will find various tracks. 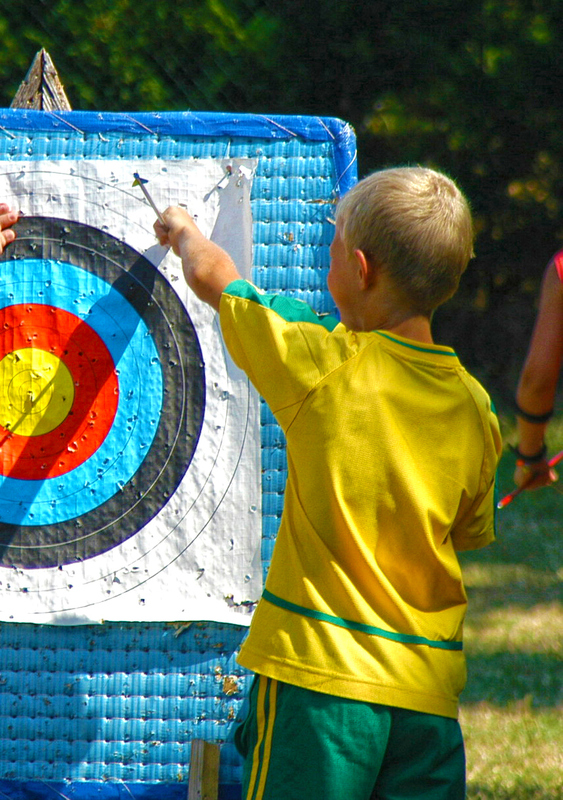 Archery, aquagym, canoeing, football, volleyball and petanque are part of the sports activities offered on the campsite. Not to forget: the water sports center at the lake, at 100m from the campsite, and fishing at the lake or nearby. 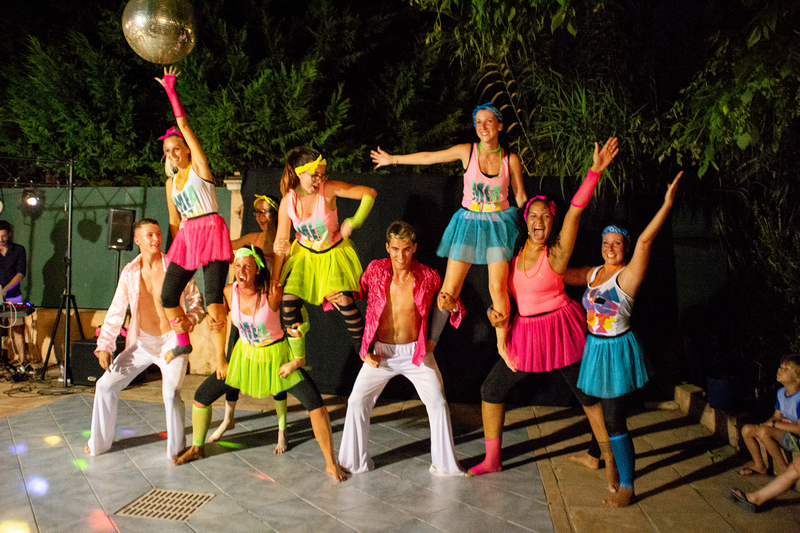 To make your holidays unforgettable Camping les Pêcheurs also offers you theme evenings. On several evenings per week you will enjoy various entertainments organized by our teams. 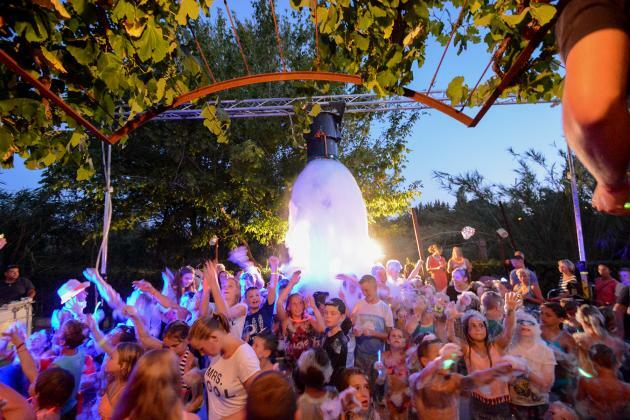 In a convivial and pleasant ambiance you will attend different shows, music evenings, foam parties and plenty more, convenient for both adults and children.